This afternoon, my wife phoned me to complain she really didn’t like discovering I had accidentally put a stain on one of her Twilight books. She promised retribution. When I came home, as of usual, my computer was already running. This is only a few hours later that I understood the damage she had done. 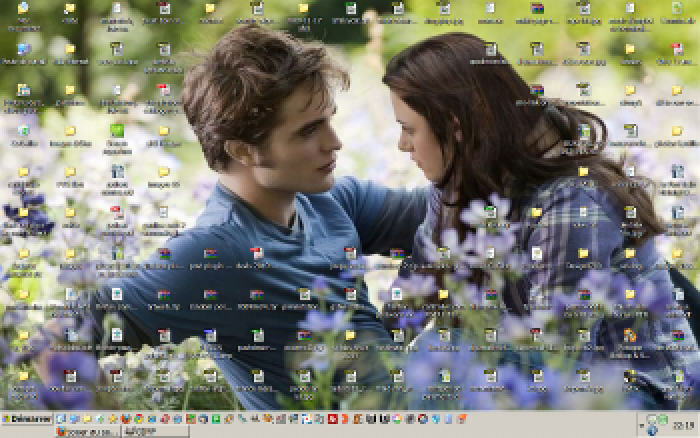 – with the promise that whenever I leave home this next week, the desktop will be back.